Olentangy River in Worthington, Ohio. For More Sky Watch Images, please go here. Wow...really beautiful shot! I love the way the color shows down on the water. Beautiful, Tom! 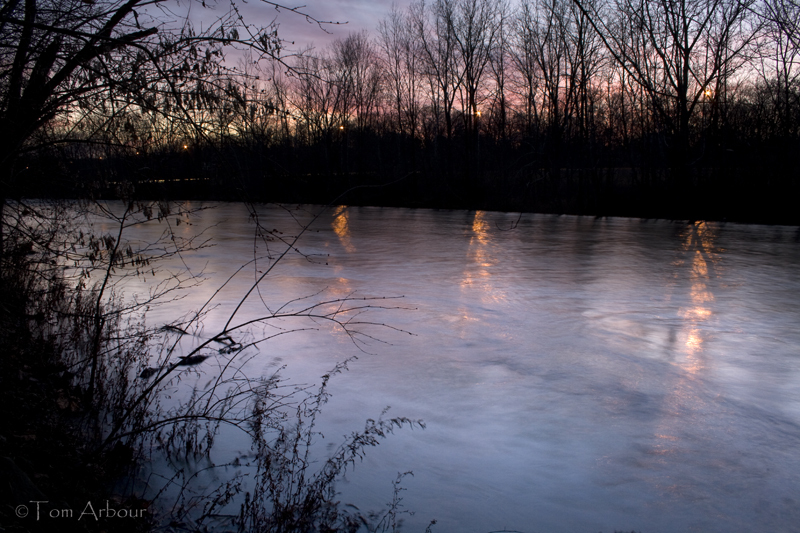 I really like the color peeping through the silhouetted trees to brighten the surface of the water. Very nice! The glow on the water is beautiful - like an extension of the sky. and what a charmer in the photo below! Very cool, Tom! I love how the colors are practically dancing on the water. I like how it overwhelms with tranquility! You are definitely a man of skill when it comes to photography :) I'm hoping that someday I'll be as good as you. Wonderful shot with superb reflections! I really like this and think it's fascinating becuase I can't figure out where the light reflecting in the water is coming from.